As the world deals with the refugee crisis due to the war in Syria and parts of the Middle East, Nigeria is dealing with its own refugee crises. 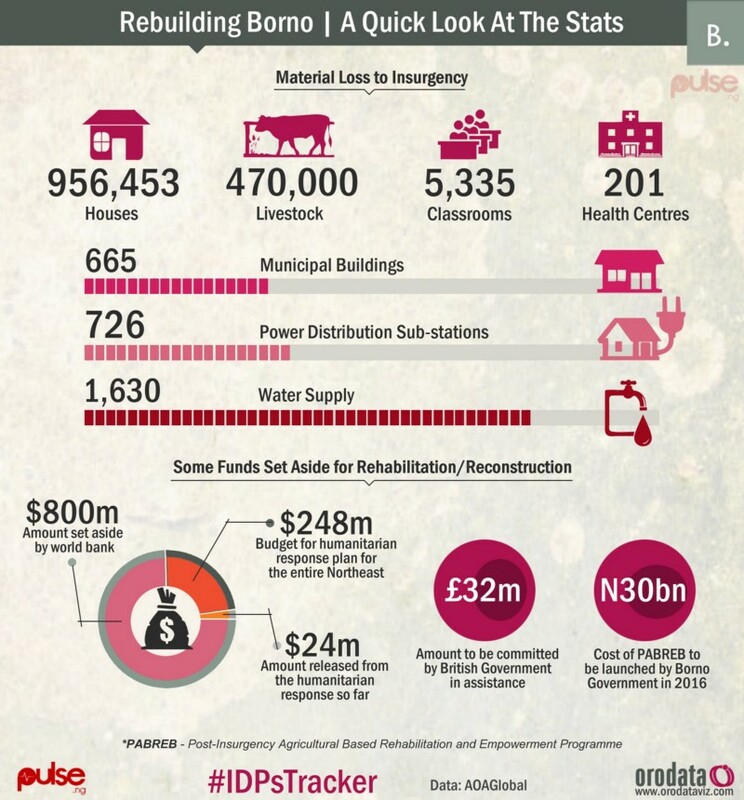 The bane that is Boko Haram (BH) has led to widespread displacement of people in the North East. Homes and whole communities have been destroyed, and survivors have had to trudge to camps set up for them by state and federal governments. 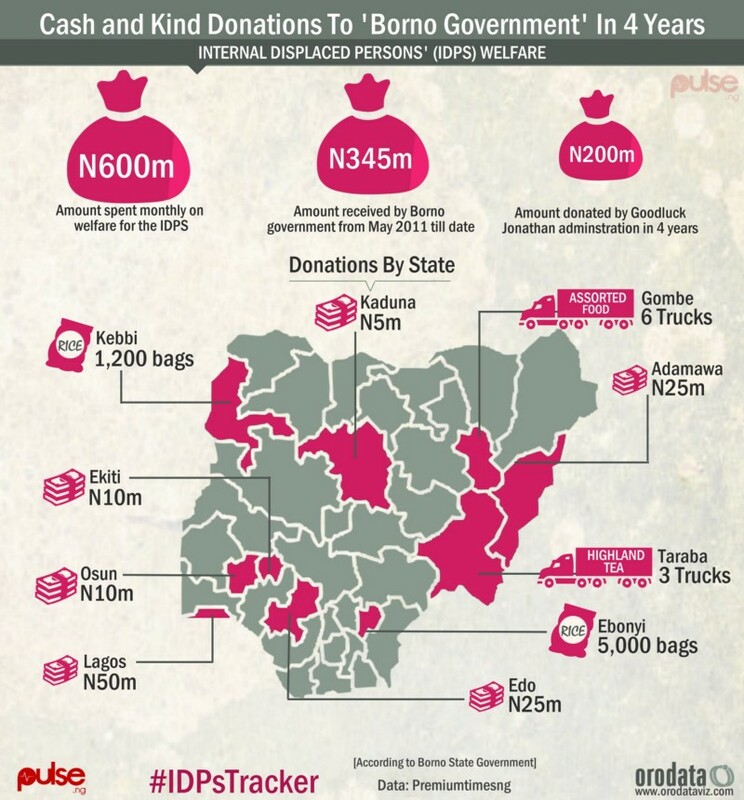 Sadly, 'IDPs (Internally Displaced Persons)' has become a household acronym in Nigeria. Several individuals, organizations, multinational donors and governments continue to donate to these camps. But everyone will tell you that conditions are dismal! And it's not getting better. 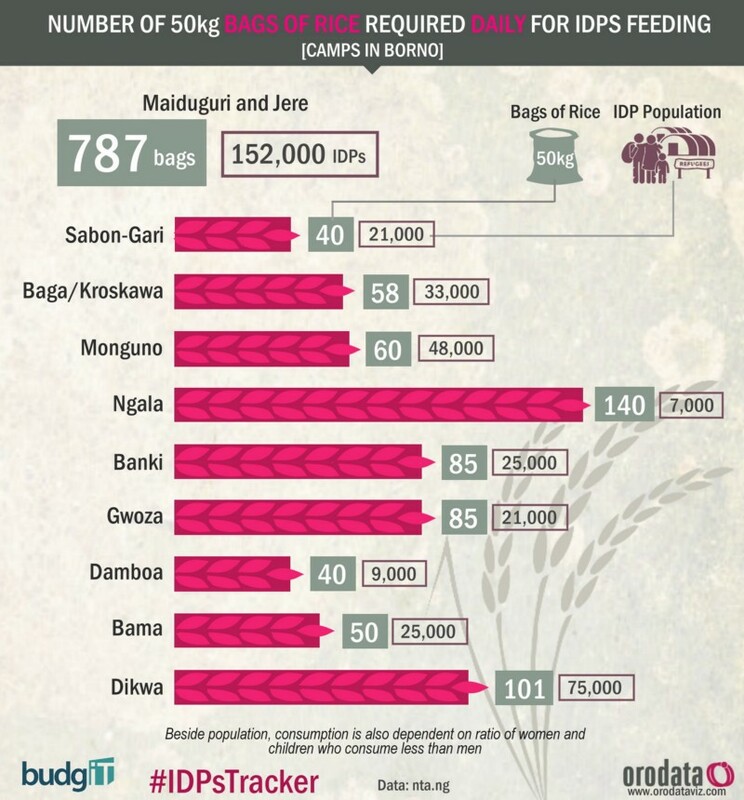 Even a quick Google search of 'Nigeria's IDP camps 2016' is reflective of the all round bad news - 'Malnutrition deaths in IDP camps', 'Nigerian officials grow rich on the hunger of the poor', 'IDPs protest over poor feeding in camps', 'Rotten under-bellies of North-East IDP camps', stories of child trafficking, and many more. The stories are bleak! But what can we do about this! The benefits are enormous - there are implications for facilitating reduced resource wastages since information about how much food and items are needed in each camp, who is donating what, and where the gaps are so others can fill them. It also helps to track whether situations are getting better or worse. Firstly, it was pertinent to understand the situation of things; so we accessed data and activity reports from many humanitarian organizations who have been engaged in IDP intervention work in over four years and more. For real-time data, we use a couple of open source platforms to gather and filter out activity, data or reports on the IDPs from several sources. For government data, we are using Freedom Of Information (FOI) requests - we have sent about two requests to National Emergency Management Agency (NEMA) in request for data related to donations of funds, relief items and food. We also inquired about detailed data on food distribution across all camps and the names of organizations partnering NEMA on Interventions. These Non-Governmental Organizations and several government agencies, we have approached with letters to share their data with us. Last week we sent an FOI request to Borno State government on how it shared the $1m food and farming grant given to them on behalf of IDPs by Gates foundation plus other information. All these will form part of the repository of the Tracker. 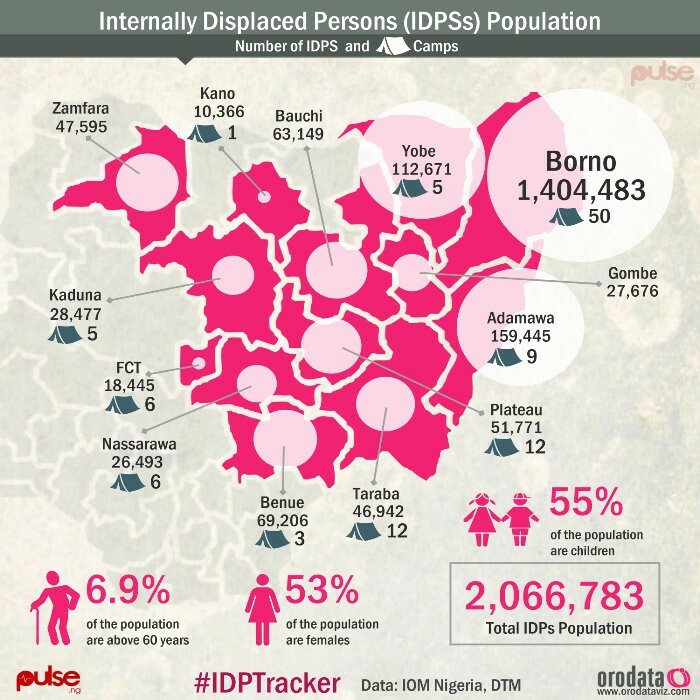 People need to use your IDPs Tracker to get value from it. What are you doing to let people know that it's available. The ‘Tracker’ is of many parts. One is a web infrastructure, a repository of relevant data related to the Internally Displaced Persons, open, searchable and accessible to the public. The second is the ‘Advocacy’ part which uses interactive visualizations to make data simple and compelling while educating and engaging the public on discoveries, insights towards actionable decisions. The third part points out the merits of open data and engages institutions to make data more available. The first part which is a ‘lone’ portal to host these data is under development but we have an IDPs Tracker page on our website where the public can access these discoveries aside our social media pages for the mean time. The 2nd part – soon as we get new data, we visualize, publish it and make sure it goes viral like we did with our visual narratives on Child Trafficking in the IDP camps which was republished by several news outlets recently. Aside, we craft and publish bi-weekly pieces which re-introduces the project - its goals, what we have been up to, our challenges and what we are doing to surmount them. Firstly, cases of diversion of food items, child trafficking and related others must be investigated thoroughly, findings must be made public and perpetrators duly prosecuted. The importance of Data to addressing this challenge and Nigeria’s multidimensional challenges cannot be over emphasized. This is why a ‘culture’ shift and agency wide policy reforms are needed. Some of these challenges we see today in data are due to unavailability of technically skilled personnel and bureaucracy in government agencies - that has to be quickly addressed. Government must begin to be efficient in their activities especially that which relates to records keeping and data publishing towards transparency, accountability and citizen inclusion. I can't thank Blaise enough for his frankness and willingness to provide a service that will facilitate real positive returns in terms of upholding the basic human rights of IDPs! For more information on their work, visit the IDPs Tracker website, official Twitter account, and Blaise' personal Twitter.